Irish Rail has confirmed that the owners of 'Hamish' the dog have been found. The little dog jumped on the commuter train from Sallins in Co Kildare to Dublin yesterday morning on his own. 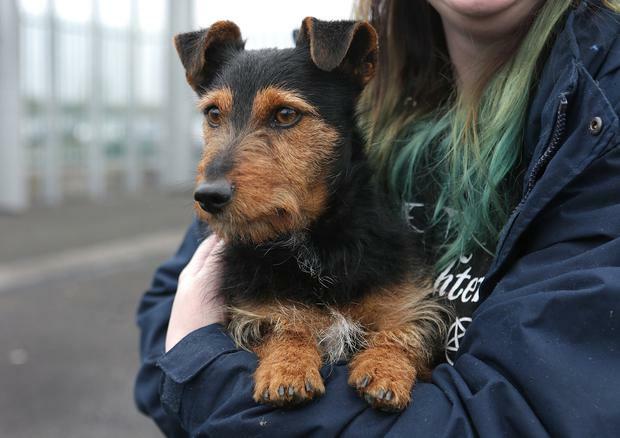 The story went viral on social media after Irish Rail sent out an appeal to find his owners. This afternoon Irish Rail sent out a tweet to confirm that they have been found. The dog's real name is Tyson - and Irish Rail said that a "family reunion" is on the cards. Irish Rail tweeted: "Hamish update! His owners have been found! His real name is Tyson! He’s getting chipped by @MyLovelyHorseR so if he goes a wandering again, he can be found. Family reunion TBC. The movie rights are exorbitant! Thank you to everyone for spreading the word!" 🎉 His owners have been found! 🐶 His real name is Tyson! 💶 The movie rights are exorbitant! Tyson provided provided fellow passengers with an amusing journey as he took the train four stops all the way to Heuston Station before disembarking. Irish Rail spokesman Barry Kenny told independent.ie that the dog completely ignored the 'seats are not for feet' sign as he hopped up on one after boarding. "He entertained a lot of people on the train when he boarded," Mr Kenny said. Hundreds of people took to social media to try to help and with offers to rehome the dog if its owner was not found. A number of people got in touch to say they knew the owners, while there were also offers from individuals who wanted to adopt the dog. "My Lovely Horse charity, which normally deals with horses, has offered to help out and have been contacted by a lot of people on social media," a spokesperson said. The black and tan dog wasn't microchipped which made the process a little more difficult. But he will now by chipped by My Lovely Horse charity. Barry said that staff and customers are delighted that his owners have been found. "We'd just like to thank everyone for their help with this - especially Ted Maher who works with us at Inchicore and volunteers with My Lovely Horse. It really has been a team effort and we are happy that this shaggy dog story has a good ending to the tale." Lyra's dead. Lyra's dead. Lyra's dead. That's not true.